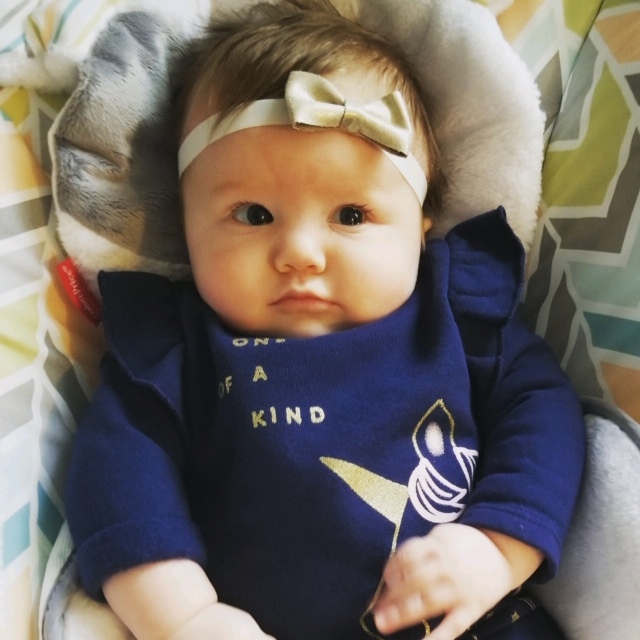 Annalise Constance Murphy, three month old daughter of Robert and Amanda (McConnell) Murphy, passed away Thursday afternoon, January 24, 2019 at Nationwide Children’s Hospital in Columbus. She is survived by her parents, big sister Adalynn Murphy, grandparents, Connie Murphy of Tiffin; David and Cynthia McConnell of Bloomville; great grandparents, Thomas and Roberta Miller of Bloomville; Jeff and Catherine McConnell of Bellevue; aunts and uncles, Holly Murphy, Sarah Clouse, Morgan McConnell, Gary and David Caudill, Brad McConnell and many cousins. Annalise was welcomed by her loving family on October 3, 2018 and baptized at St. Joseph Catholic Church on November 11, 2018. She enjoyed stroller rides, bath time hugs, kisses, and holding hands with her parents and big sister. During her short time here on earth she touched many lives, gave a lifetime of love and a smile that brightened the room. Love for her will last forever. Her Funeral Mass will be Wednesday, January 30, 2019 at 10:00 AM at St. Joseph Catholic Church with Rev. Joseph Szybka officiating. Burial will follow in St. Joseph Cemetery. Visitation will be Tuesday, January 29, 2019 from 4-8 PM at Hoffmann-Gottfried-Mack Funeral Home & Crematory. Condolences may be sent and the guestbook signed atwww.hgmackfuneralhome.com. Memorial contributions may be made to the family for a charity at a later date.